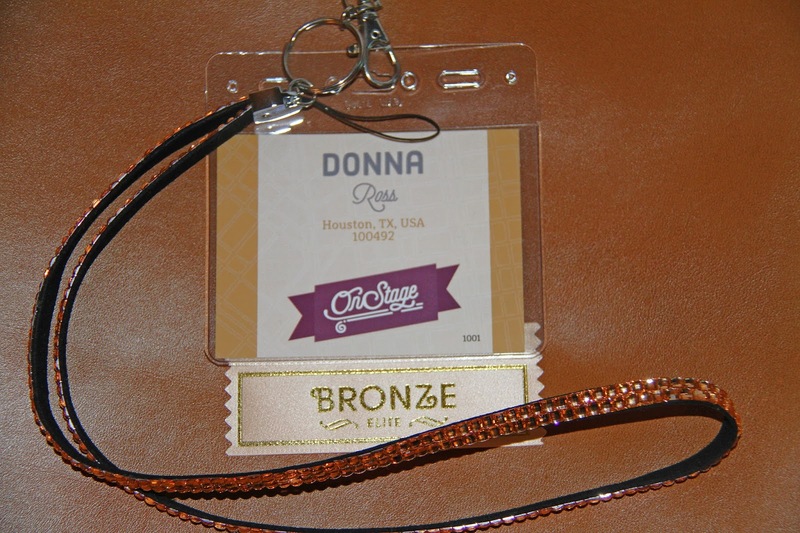 I used the wonderful Remarkable You stamp set to create this simple card for my swaps at 2015 Dallas On-Stage. 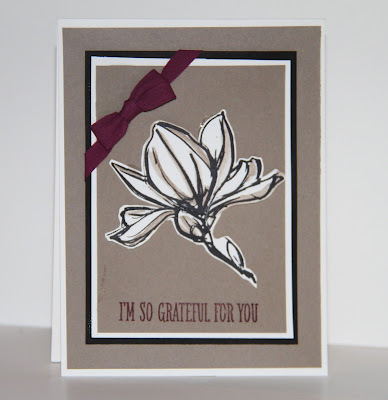 The sentiment was stamped in Rich Razzleberry to match the 1/4" Rich Razzleberry cotton ribbon to give this card a pop of color. I used a watercolor pen to highlight the edges of the flower in Tip Top Taupe. I'll post some of the wonderful samples I swapped for during OnStage over the next few weeks. Dallas was rocking this week end with On-Stage announcements and catalog demonstrations from the new Spring Occasions and the Sale-a-Bration brochure. 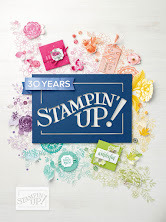 Then we broke open supplies at our tables and played with four different new stamp sets, which means I'll have samples to show you as soon as the new catalog is released. 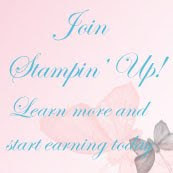 We had a full agenda including videos of Stampin' Up! executives at other locations giving us business tips and demos of products from the new catalog. Of course there were goodies at our table, including this great 6-month calendar and book for note-taking, a new tote, and Prize Patrols after each presentation. 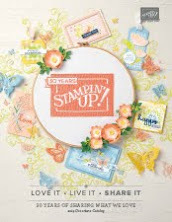 In total, I left with samples from four different product suites from the new Occasions catalog, 3 free stamp sets, a Pretty Petals designer series paper pack, a bunch of great ideas from the new Occasions catalog and fun memories with new friends and old. 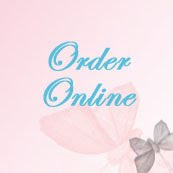 Demonstrators only have to wait until tomorrow to see the Occasions catalog on-line. Preorders begin in December. 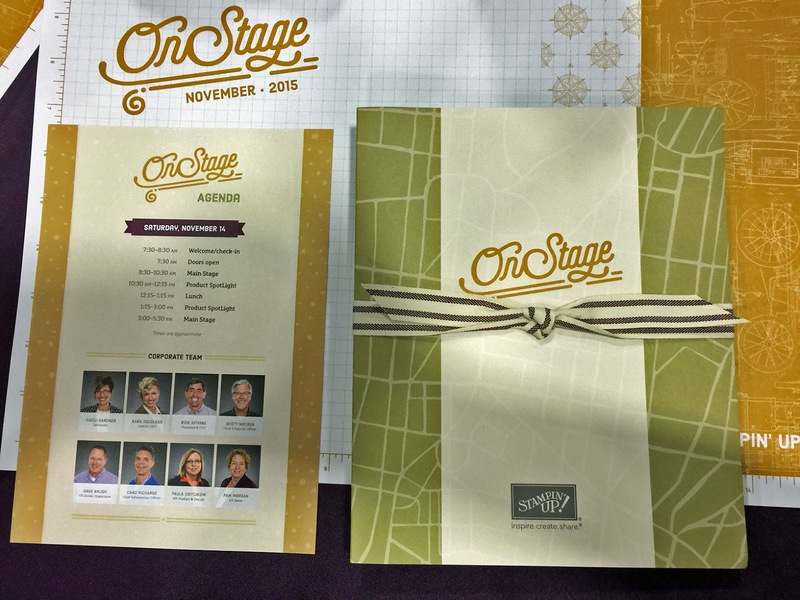 Customers will see the catalog in December and can begin placing orders Jan 5. 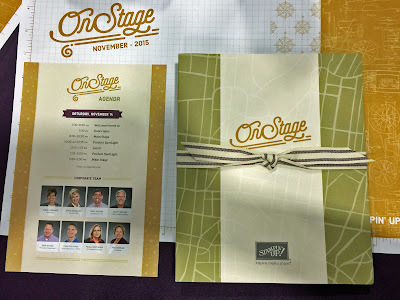 Attendees at the On-Stage events were able to place early orders for a selection of new items. My pre-order went in this afternoon and I'll be watching my UPS iPhone app anxiously for my new products to arrive so I can begin making samples.